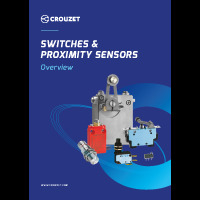 Crouzet is a specialist providing standard and customized components for highly technical applications in a specific market. The Crouzet delivery platform also optimizes logistics through output and guarantees your lead times. From the very start of a project, Crouzet' experts work closely with your teams to develop the specifications. All our design, industrialization and approval expertise go into developing detection solutions that are tailored to your requirements. Complete coordination between your project teams and our specialists, these adapted products have exactly the right levels of performance and functionality you need for your applications. A full range of microswitches, limit switches, manually operated switches and sensors, are immediately available so that you can design your system as quickly as possible. 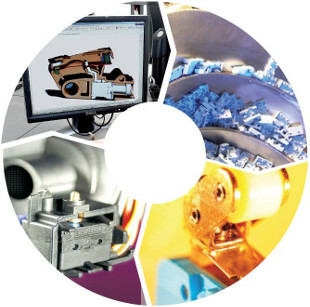 All our standard products can have additional factory-mounted auxiliaries or accessories, including connectors, leads, special terminals, fixings, lervers, etc. Seamless intergration into your equipment means you benefit from simpler logistics and optimum installation reliability.